Surrounded by the famous restaurants and cafés, lively nightspots and trendy boutiques of Seminyak, and boasting a spectacular unobstructed panorama of the Indian Ocean and exceptional views of the island’s sunset, The Samaya Seminyak is an idyllic tropical getaway featuring just 52 individual self-contained contemporary villas. Ranging from 220sq.m. 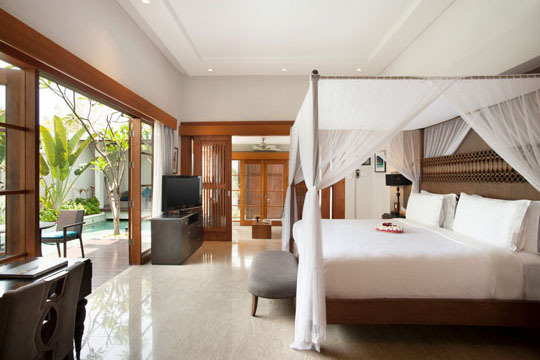 to a majestic 600sq.m., the villa design is modern and accented with touches of Balinese warmth. Each villa features a spacious outdoor living area, full-size private swimming pool and lavish en suite bathrooms. 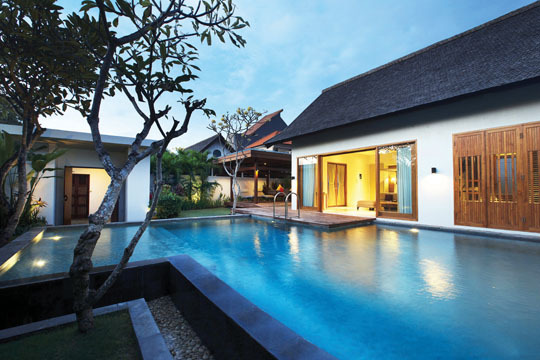 Located opposite the main area, The Royal Courtyard complex offers a traditional Balinese village ambiance. Surrounded by lush tropical gardens, the accommodation offers the same luxurious style and facilities. The Samaya Seminyak offers guests a luxurious and verdant private sanctuary merely steps away from the pristine semi-private beach. 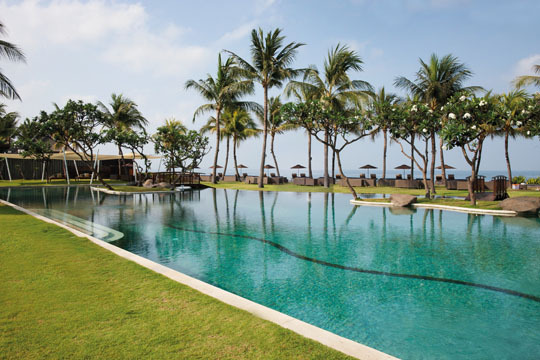 To complement the accommodation, the resort also features a large outdoor swimming pool adorned with private gazebos. 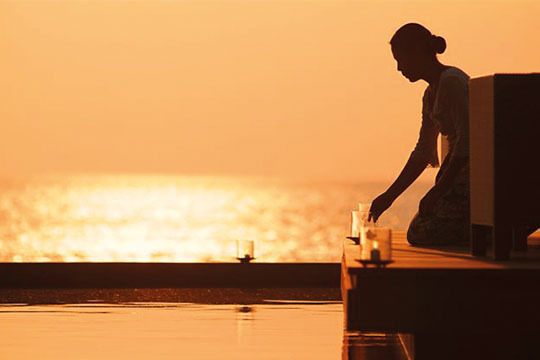 For the ultimate in pampering discover The Spa at The Samaya, an award-winning oasis of relaxation and rejuvenation ensconced within the resort that offers the ultimate experience for spa enthusiasts. Perfect for a sunset session, light lunch or romantic dinner and with stunning views over Seminyak Beach, Breeze is an exceptional dining experience offering inspired Balinese and Indonesian classics and excellent cocktails and wines. Completing the paradise getaway at The Samaya Seminyak, the resort has a carefully curated selection of activities for its guests, from the cultural and spiritual, to thrilling and adventurous. ©2017 beautiful bali. all rights reserved.